Light the Hoan Launch Party. Photo by Jeramey Jannene. It used to be called the “Bridge to Nowhere.” Now one group is looking to shine a light on Milwaukee’s beloved overpass by illuminating the Daniel Hoan Memorial Bridge. Earlier this year, a collective of local business and civic leaders formed Light the Hoan as a committee of the Daniel Hoan Foundation. 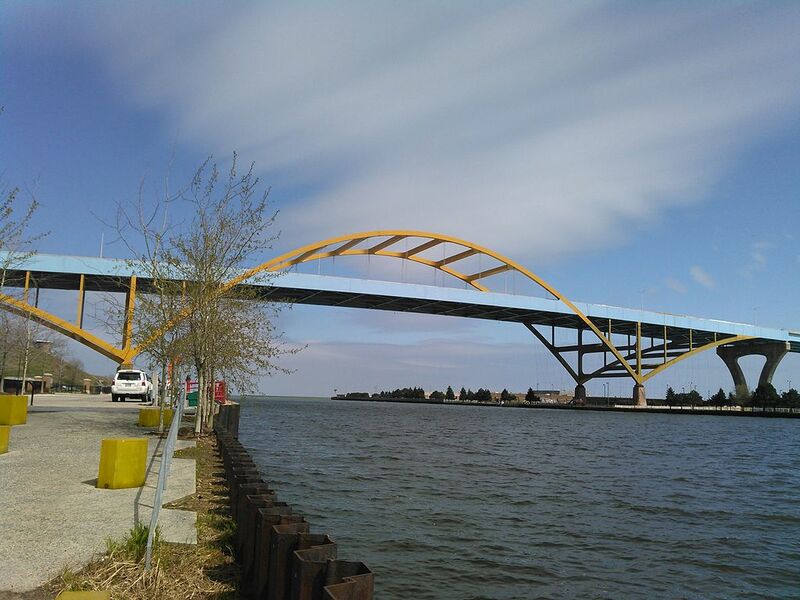 This week, the group will officially launch a public crowdsourcing campaign to help raise more than $1.5 million to light up Milwaukee’s famous yellow arches. The funds will be used to install thousands of LED lights on the bridge. Similar efforts have been embraced in San Francisco and Edmonton and have driven tourism, beautification efforts and civic pride. The crowdfunding campaign will be driven by individual bulb purchases and dedications on the Light the Hoan website. More than a unique urban infrastructure project, Light the Hoan is running a grassroots campaign to change Milwaukee’s skyline, and also to designate the structure as a symbolic representation of the positive stories that bridge Milwaukeeans together, explains the group’s co-founder, Michael Hostad. 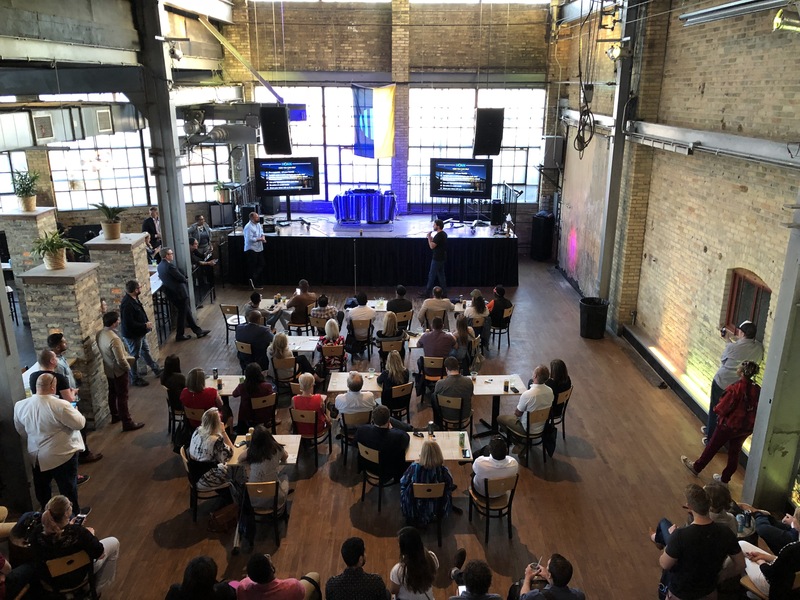 Media is encouraged to follow the Light the Hoan social media channels to help amplify these positive stories and the collective civic pride in Milwaukee. Select stories will also appear in a new series on OnMilwaukee.com, Light the Hoan’s official media partner. After the lights are installed, Light the Hoan says the bridge will serve as a nightly reminder of the bearing of community relationships and provide a symbol of support for events such as holidays, festivals and other city-wide causes. The project may also utilize technology that could allow for interactivity and programming the lights to “dance” to music. The idea has been widely embraced by all generations and walks of life in Milwaukee. Pending fundraising success, a public lighting ceremony is slated for next summer. Constructed between 1970-72, the Hoan Bridge spans nearly two-miles across Interstate 794. The tied-arch bridge didn’t open to the public until 1977, earning it the nickname “Bridge to Nowhere,” and was famously used to film a car crash scene in the John Belushi cult favorite, The Blues Brothers. The bridge is named for Daniel Hoan, a socialist who served more than 24 years as Milwaukee’s mayor. I nearly spit my coffee out when I read this. Putting lights on a bridge is cute, that is about it. Hey Mr. Mayor. How about Milwaukee starting a crowdsourcing campaign for fixing the potholes and concrete falling from out overpasses first? JUST ANOTHER CUTE THING TO MAINTAIN, AND IT APPEARS THAT MILWAUKEE AND MANY CITIES IN THE US ARE ALREADY FAILING TO MAINTAIN WHAT THEY ALREADY HAVE. NOT A GOOD CHOICE FOLKS..
To the three detractors who commented prior (John, DAG and Sharon), don’t you understand this is being completely crowd-sourced and doesn’t involve public funds? Yes, it’s cute and no, it doesn’t solve an infrastructure problem – but it’s up to the state to fund the infrastructure related to the Hoan. This is a great opportunity for a completely voluntary effort to add a little brightness (pun intended) to the city experience. We absolutely should not rely on crowd-sourcing to fund needed infrastructure since EVERYONE benefits from infrastructure. That’s what taxes and fees are for, but the short-sighted Governor Walker won’t consider any funding increases. I am not a detractor of the idea, I am a detractor of the comparison of putting lights on a bridge to getting Calatrava to design and build an iconic piece of architecture. The idea is fine with me if they can raise the money (I will be surprised if they can raise 1.5 million for this), but the comparison is insanely hyperbolic. Have they looked into effects of light pollution on water and migratory birds in the area? It will look cool but I might prefer turning more lights off at night so we can see the stars.